[EASY, 3.5 hrs] Staple food in India, Nepal, Pakistan, Sri Lanka, Bangladesh. It is prepared with split dried lentils, peas or beans. Great source of protein! 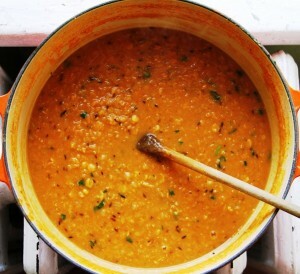 Eat daal (dal) with basmati rice, roti, naan, or as a side dish.